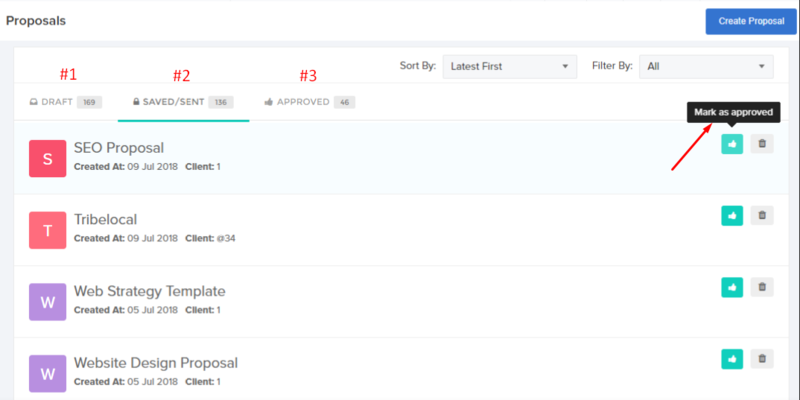 Below screenshot shows the Proposals Dashboard. #1 - Represents the proposals created using a global/team template but not freezed. #2 - Represents the proposals which are freezed, may/may not be sent to your client. Your plan usage is directly proportional to the number of proposals freezed. #3 - Represents the proposals which are approved by the client. Once your client accepts your proposal, mark it 'approved' by clicking on the thumb symbol.